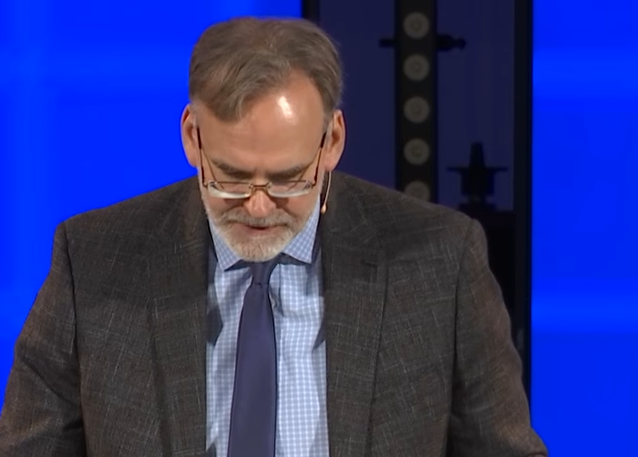 Dr. Malcolm Yarnell, Director of the Center for Theological Research at Southwestern Baptist Theological Seminary, lectures on part two of the Page Lecture Series. These lectures are among the best ever presented anywhere on the Anabaptists and the cross. Likewise with Dr. Yarnell’s other lecture on, The Anabaptists and the Great Commission. The Anabaptists trace their origins back to the Lord’s churches of the first century. Their are an estimated four million Anabaptist in the world today, which does not include many independent baptist churches and other churches that trace their origins through the anabaptist or similar heritage. You can read the book, The Trail of Blood, here on this website, including chart, that follows the Lord’s churches down through the ages. Read the Trail of Blook here. We also have links to over 600 Baptist history books that have been digitized and free to access and read here.